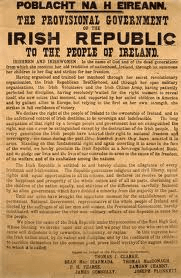 The 1916 proclamation of independence. Daniel C Murray investigates the role of the Irish Republican Brotherhood in the Irish revolution after 1916. The Easter Rising of 1916 was a triumphant breakthrough for the Irish Republican Brotherhood (IRB), whose creed of physical force republicanism had at last been vindicated. For decades the group had toiled in the shadows to set such a scene, forced into a state of subterfuge by the attentions of a hostile state, and now its name was read out alongside the other participants whose combined efforts were set to create a new and free Ireland. That these efforts collapsed after a week of fighting did not mean the end of the dream.The physical force methods that the IRB – or ‘the Organisation’ as insiders preferred – had pioneered were set to continue on through the rejuvenated Irish Volunteers, an electorally dominant Sinn Féin and the memories of the executed leaders of the Rising, almost all of whom had been the IRB’s own. That many members of these groups doubled as IRB men must have made continued Brotherhood dominance over the wider nationalist movement seem certain. The IRB is acknowledged to have been the force behind the Easter Rising but few historians have engaged with its role in events afterwards. And yet, even after a war that ended with the recognition of a separate Irish government, if not a wholly independent one, the group that had initiated the violent rejection of British rule in Ireland remained unloved and unappreciated. For the IRB there was to be no recognition from their fellow revolutionaries, no love from the masses who now lived in the state the IRB had helped to create, and in this new state, no place. Post-1916, the IRB has been consigned by historians, when they have bothered with it at all, to the backdrop of the Treaty or to a particular individual’s career. As a subject unto itself, the later IRB has not found many takers. Perhaps this is because it blended in so well with the other, more public, republican organisations of the period that there is little to study. John M. Regan complained when writing of the later IRB of the lack of documentary evidence and the “fragmentary, often cryptic, insights” that some historians could find discouraging. An example of this is Owen McGee’s The IRB which covers the role of the IRB between the Land League and the formation of Sinn Féin but stops short of the events afterwards. Leon Ó Broin’s excellent Revolutionary Underground is an exception, exploring as it does the later IRB in detail, but it is unfortunately hard to obtain. It is to help amend this oversight that this article has been written. Many activists left the IRB after the Rising and especially after the Proclamation of the Irish Republic in 1919. It was generally our opinion that the need for the I.R.B. had practically ceased to exist, owing to the fact that the Irish Volunteers were now doing the I.R.B. work, that when an Irish Parliament was set up the Volunteers would come under its control. They, the Volunteers, would then be titled the army of Ireland and the continuation of the I.R.B. would not, therefore, be necessary. These sentiments had an impact, in an exodus of members who resigned or refused to re-join the Organisation. For O’Dwyer, it was a simple matter of continuing the same work as before, except now for the Tipperary Volunteers instead for the IRB. As far as he was concerned, there was little the IRB could do that not already being done by the Volunteers. Somewhat mischievously, he recounted a story of the IRB Supreme Council sending someone to Tipperary to ask him to reconsider his leaving, only to be imprisoned in a barn by local Volunteers who mistook him for a British spy due to his furtive manner – useful for a secret society, not always outside of one. Only of the intervention of a doubtlessly amused O’Dwyer saw his release. Two of the most prominent individuals to shake the dust off their feet from the Brotherhood were Éamonde Valera and Cathal Brugha, both being alumni of the Easter Rising. De Valera’s resignation was unsurprising, as he had joined only weeks before the Rising upon discovering, to his horror, that his IRB-connected subordinates in the Volunteers knew more about the plans than he did – a testament to the influence the IRB had had in the Rising. Brugha was a different matter, going from a veteran member of the Organisation to one of its most outspoken opponents.One of his stated reasons for this volte-face was that the IRB had not turned out for the Rising, leaving the Volunteers to do the work. 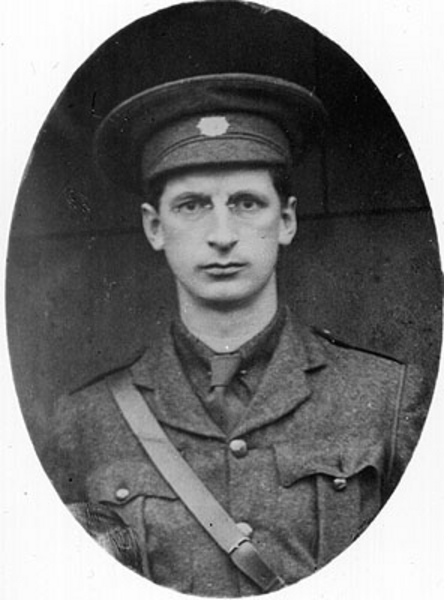 Eamon de Valera who was briefly an IRB member but who always distrusted the organisation. Brugha’s accusation of shirking prompted a census for numbers of the IRB members who participated in the Rising as opposed to those from the Dublin Volunteers. Apparently, the census found overwhelmingly in favour of an IRB turn-out compared to that from the Volunteers – for example, supposedly seventy-five IRB men turned out on Easter Monday compared to a mere twenty-five Volunteers. Whether or not one trusts the results of an in-house investigation, the IRB had clearly become a lightning-rod for controversy. Significantly, another reason was Brugha’s reluctance to be part of a group that he considered under the sway of Michael Collins, even at that early date. This was a suspicion not entirely without foundation, for Collins was considered by IRB insiders to be the main reason for the re-establishment of the IRB Supreme Council after the Rising, and held the position of secretary before becoming its president. The tension between Collins and Brugha was to mark much of Volunteer (or IRA) G.H.Q. throughout the War of Independence. Supporting Collins was his fellow IRB associate and IRA Chief of Staff Richard Mulcahy, with De Valera helping Brugha to form an anti-IRB counter-balance. Whether personal issues played as much as a factor as that of secret societies is debatable. But in many ways G.H.Q. was to be a microcosm of the tensions the IRBcould provoke in the wider revolutionary movement. I saw young fellows with notebooks rushing round and about the ground floor (there were about 150 present) button-holing individuals with anxious whispers – “We must make sure that no one will be elected an officer of the Volunteers who is not a member of the ‘Organisation’” – as if that were something new or something we would be allowed to forget, and without adverting to the fact that that sort of thing would undermine the authority and efficiency of the whole Volunteer movement. Without waiting for the meeting to start officially I walked out in disgust thinking of Tammany Hall. 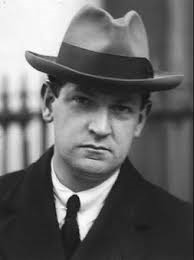 Michael Collins, IRA Director of Intelligence and IRB Supreme Council Secretary 1917-1921. Robinson gave the address for the meeting at 44 Parnell Square but, unfortunately, not the date or names of any other attendees, making it hard to corroborate. One wonders if Michael Collins was one of these ‘young fellows with notebooks’. For all of Robinson’s extravagant scorn and American comparisons, an alternative interpretation of this event could be that the IRB still had enough members with the energy and desire to continue its mission as prime mover towards Irish independence, even if it had to unashamedly infiltrate larger bodies like the Volunteers to do so. The IRB desire for new recruits continued throughout the later years. Liam Deasy recalled a council of the South Munster IRB at Easter 1921, presided over by Michael Collins, where it was agreed to extend membership to Volunteers of proven worth. As late as November-December 1921, a similar decision was made at a conference in Limerick for the IRB branches – or ‘Circles’ in the IRB vocabulary – present to renew their drive for fresh initiates (as observed by the disgusted Ernie O’Malley, who had not been invited but gate-crashed the meeting anyway). Whatever the likes of O’Dwyer, Robinson or O’Malley may have thought or wanted,the IRB was there to stay. It was not always a case of the IRB members entering the Volunteers, for the reverse did also happen. 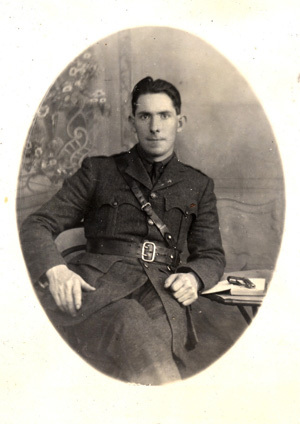 Frank Henderson of the Dublin Volunteers decided to join the IRB around 1918-1919 on the grounds that since he saw that war was on the horizon and the Volunteers had been joined by post-Rising recruits of uncertainty worth, “membership would bind those in the organisation in the event of defections or attempts to compromise”. This was after Henderson had already twice refused invitations to join, being sympathetic to Brugha’s concern, who told him in a conversation, that such a secret society would produce “conspirators but not soldiers”. As with De Valera before the Rising, Henderson’s reasons for IRB membership were pragmatic rather than passionate. Even with his doubts about the Brotherhood, he could recognise its value as a backup. The IRB’s role in the War of Independence has been neglected by historians, to the point of the Organisation being dismissed as “in an advanced state of decay” by that time. As the above examples have shown, the Organisation was in a state of anything but decay. This academic neglect is possibly due to the fact that, for practical purposes, the IRB’s policy of armed resistance to British rule had become indistinguishable to that of the Volunteers/IRA in general, making it hard to tell where one began and the other ended. Arising out of your letter of the 4th inst. re attitude of Irish Volunteers and another organisation, you will notice that there is no difference between the aims and methods of the Irish Volunteer Organisation and the other one you mention. The IRB’s influence varied from region to region depending on the strength of its local personalities. Collins did not even mention the IRB by name in his reply, either out of habitual secrecy or to annoy the Sligo commandant, who could hardly have been reassured to have received a cursory response. Not that there was much he could have done about it if he had had to turn to G.H.Q in the first place. Whether Collins wanted to admit it or not, the IRB continued to be a factor in the years between the Rising and the Truce, though less than a case of its members acting on behalf of a countrywide organisation and more as another complication in already complicated local scenes. Tom Hales had been an IRB member before the Rising. In the increasingly militant atmosphere afterwards he took to swearing the Volunteers he trusted into his IRB Circle, making the IRB and himself central to the revolutionary scene in West Cork. When, in 1919, the original Cork Brigade was divided into three, he was a natural choice of leader for the Third Cork Brigade. Hales was later to brag that he had ‘made’ the Third Cork Brigade with the men he had personally sworn in. Hales could be seen as something of a revolutionary entrepreneur, using a franchise to establish a local monopoly for himself rather than as a drone-like operative acting on behalf of the larger group. This was not unusual. The IRB provided the perfect outlet for individuals with ambition, energy and an enterprising zeal. Whether an IRB Circle wassuccessful in a certain area could depend on finding the right person to promote it. In return, a successful IRB Circle could give members like Tom Hales a good deal of local clout. Sean MacEoin. IRA and IRB activist in Longford. While he was also in the Volunteers, and used that body to forcibly impose his decision, he felt entitled to decide in the first place as a result of his IRB status. He seems not to have been dependent on orders or instructions from above but rather free to act on his own initiative. Having suffered as a result of his family being the targets of a Land League boycott, MacEoin must have relished the chance to play the local big man for once. Conversely, an IRB Circle could suffer if it depended too heavily on a particular member. The success of the IRB in South Tipperary was largely because of the efforts of Eamon O’Dwyer. When he passed over the Organisation in favour of the Volunteers, the former’s influence there withered and died, and there was little the IRB Supreme Council, for all the grandiosity of its name, could do about it. Hales’ success brought him into conflict with his official superiors in the Volunteers, Terence MacSwiney and Tomás MacCurtain, especially the latter, who struggled to rein in unauthorised actions from within the Volunteers that he was technically in charge of. It is possible that the premature deaths of both MacSwiney and MacCurtain, the former on hunger strike, the other murdered by ‘persons unknown’ (almost uncertainly off-duty RIC officers), prevented the tensions from worsening. The existence of parallel and overlapping chains of command in the Volunteers and IRB often caused tensions in republican ranks. Not so for the Limerick City Battalion, which remained split post-1916 between IRB stalwarts headed by Donnachadh O’Hannigan and those under Liam Manahan, who wished to remain free from IRB influence.In both of the cases in Cork and Limerick, there were other factors at play: Manahan, MacSwiney and MacCurtain had been blamed by their detractors for bloodlessly surrendering Volunteer armouries in the aftermath of the Rising’s failure, and there were class dimension between the white-collar workers under O’Hannigan and the more working-class men under Manahan. One could ask whether these divisions would have still happened if there had been no IRB at all. It did not seem to be a case of IRB members acting on orders from above. If anything, the IRB comes across as a decentralised organisation, one with a central leadership and a consistent ideology, but not necessarily with much control over or input into its Circles throughout the country. But in Cork and Limerick that did not necessarily matter. The IRB may perhaps have been more a “badge of militancy than a well-defined organization”, but it could be potent enough badge to rally behind all the same. The Cork IRA was to continue on as an IRB bastion, with many of its leading alumni – Liam Lynch, Liam Deasy and Florence O’Donoghue, among others – being of the Organisation throughout the War of Independence. In not every county was the IRB so divisive for the localVolunteers/IRA. Even in the ones where it was, it may not have been the most divisive of local issues. Either way, the IRB throughout the War of Independence was to remain a significant factor, up to the time of the Treaty, if only as one to fall out over. 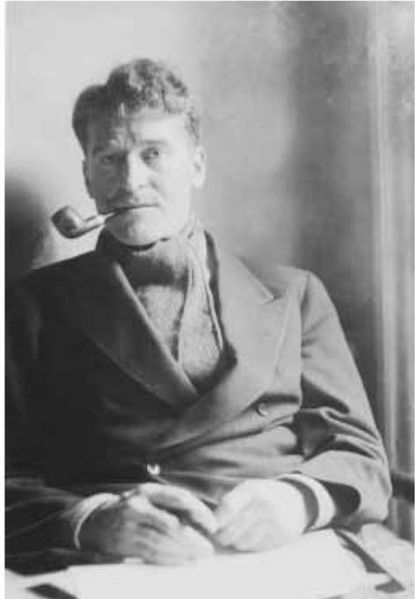 Ernie O’Malley, one of the IRB’s most trenchant republican critics. And there was much to fall out over. As far as many contemporaries were concerned, the IRB’s defining role after the Rising had been that of the Treaty. For many who opposed the Treaty, it was an article of faith that the IRB had worked behind the scenes to force through its pro-Treaty agenda. That one of the Treaty signatories was Michael Collins, by then President of the IRB Supreme Council, gave this view a certain credence. Ernie O’Malley, writing years afterwards, castigated Collins and the IRB for the Treaty, and unfavourably compared them to the executed heroes of 1916 who, he was sure, would never have done such a thing (the number of IRB men among said heroes being lost on him). Anti-Treatyites blamed the IRB’s influence for the acceptance of the Anglo-Irish Treaty in 1922. Frank Gallagher of the Dublin Volunteers was to mention the IRB a mere two times in his memoir The Four Glorious Years (under the pen name of David Hogan), once to darkly inform his readers that the IRB “plainly had plans of its own that which were not those of an elected Government. The I.R.B. regarded as the primary authority in Ireland the Supreme Council of their own Secret Society. There were the seeds of calamity in that kind of attitude”. While the book did not venture beyond 1921 to cover the Civil War, a hint is enough for Gallagher to lay the blame: “What was to prove a tragedy later for the Volunteers, and for Ireland, was that a section of the I.R.B. continued its secret existence, and its struggle for control both of the Dáil and of the Army”. The same penchant for secrecy that had allowed the Brotherhood to operate under the noses of Dublin Castle had left it open to suspicions of conspiracy and self-centredness. To Séamus Robinson, a leading Anti-Treatyite, the Brotherhood was a “sinister cabal” while somewhat contradictorily dismissing it as having only a “nuisance value” from 1919 onwards. Arguments against the IRB could often be on the tenuous side. Ernie O’Malley bemoaned that “the IRB had driven Sinn Fein underground” by the time of the Civil War due to the party putting its energies into electioneering as opposed to, say, economics, without much explanation as to why the IRB should be held responsible. Was O’Malley truly surprised at a political party in a democracy taking part in the democratic process? Either way, no act was too villainous like that of electioneering to hang on the IRB’s door. Equally myopic on the issue was Seamus McKenna of the Belfast IRA who was of the opinion that many of the IRB men who supported the “ill-fated” Treaty did soon the Organisation’s instructions. He based this on his own experience of being advised to do so by an IRB Supreme Council member; a man who, in McKenna’s strong opinion, had “already compromised, and led others along the same path”. This same man – McKenna was uncertain as to his name – went against the Treaty several months later, raising the question of whether he had originally advocated for the Treaty on the IRB’s instructions or his own opinion, which later changed as opinions are wont to do. Another of McKenna’s gripes was that the IRB promoted its own within the IRA regardless of incompetence (himself presumably not included), his case in point being Joe McKelvey of the Third Northern Division (McKenna, BMH, p. 45). McKelvey was later executed by the Free State for fighting against the Treaty, suggesting that the situation was more complex than McKenna was willing to give it credit for. But McKenna was an embittered man, and the IRB provided the perfect villain for his narrative, as it did for the Anti-Treatyite one. As with Brugha and Robinson, the IRB’s sternest critics were often its former Brothers. The long-held charge that the Brotherhood had forced the Treaty through rests on the premise that the IRB could exercise enough control to do just that. Given how widespread its Circles were and how highly placed certain members like Michael Collins were in the wider revolutionary movement, it would seem at first glance that this could indeed have been so. This was certainly Ernie O’Malley’s view when he wrote of the IRB conference in November-December 1921 that he intruded upon, intending to shock his readers with his depiction of an insidiously spreading conspiracy covertly gathering fresh members. The IRB was in reality not capable of controlling its members sufficiently to be a decisive factor in the Treaty’s acceptance. But the expectation of the IRB leadership at this same meeting was that it would be the grassroots who would be doing the work in recruiting. There was no indication of any penalties if Circles neglected to do so or that the IRB had the means to impose any in the first place. On closer inspection, the Organisation reveals itself to have been too decentralised, too dependent on its grassroots, and with branches too self-sufficient for it to be a convincing character in a conspiracy theory. The Supreme Council could only have dreamed of exercising the control that its enemies accused it of. Ultimately, it could only‘control’ its members who were willing to go along with it anyway. Richard Mulcahy, who attempted to revive the IRB as a faction within the Free State’s Army in 1923-24. Joseph M. Curran, in assessing the IRB at the time of the Treaty, dismissed the Brotherhood by then asobsolete and constituting“no real threat to either the British or Republican government”. Another obituary is from Michael Hopkinson, in that far from being a controlling power over the Treaty, the IRB disintegrated over the issue and ceased to be of importance. Whether or not it was obsolete, as its critics had long argued since after the Rising, and the Treaty split had certainly left it in a diminished capacity, the IRB was far from gone or over. Instead, it had taken root, away from the sight of the casual observer. When the Organisation was to surface again, it was in the most ignominious of ways: as a defence strategy in the investigation into a mutiny. The IRB’s last gasp was in 1924 as one of two antagonistic factions vying for influence with the National Army. In March 1924, several Free State army officers issued an ultimatum to President Cosgrave, styling themselves the Irish Republican Army Organisation (IRAO) and protesting against the incoming demobilization. These malcontents included Liam Tobin and Charles Dalton, formerly of Michael Collins’ famous Intelligence Squad, and other veterans who had grown dissatisfied with having been repeatedly passed over for promotion in favour of those who may have been more qualified or better suited but who had not, as the mutineers saw it, paid their dues in the War of Independence. That demobilization would almost certainly include their jobs was enough of a casus belli against state policy. Liam Tobin, who led the rival ‘Irish Republican Army Organisation’ faction. As Commander-in-Chief, General Richard Mulcahy responded by dismissing the mutineers from their army posts, only to find himself as much on trial as the mutineers in the subsequent government investigation in April 1924. The IRAO based their defence on the claim that by forming their military faction they had merely been responding to the one already present: the IRB. What appeared to be a flimsy excuse was given unexpected credence by the admission from the Army Council that not only was there indeed an IRB within the army,but that they were a part of it. The ‘IRB card’ was not to be played by the mutineers until late in the day – the IRAO ultimatum to Cosgrave did not even mention the IRB, calling only for the “removal of the Army Council” and the “immediate suspension of army demobilisation and reorganisation”. It was the The Truth About the Army Crisis, a 16-page booklet published on behalf of the IRAO, that set the mutiny within the context of the IRAO-IRB dispute. The booklet claimed that this IRB was a counterfeit, and had only been set up by the Army Council as a counter-block to the demands of the IRAO, to the point of an anonymous IRB officer telling the IRAO to “drop your organisation and we will drop ours”. Many of the IRAO had been in the Brotherhood from before, and a point of contention was that they had not been invited to re-join it. However, the booklet did admit that the reason for the irreconcilable breakdown in talks between the IRAO and the Army Council had beenthe latter reneging on a promise to include the former on the IRB Supreme Council.The mutineers objected to the IRB less from its existence and more because of their exclusion from it. Up to these talks breaking down for good, the mutineers had seen reconciliation with the IRB and a place for themselves within it as both likely and desirable. The mutiny should perhaps be seen not as a feud between two separate groups, one worthy and the other not, as the mutineers claimed, but as one between members of the same body: an entrenched elite against a disenfranchised grassroots. Understandably jittery from the last time a portion of its armed forces had displayed a mind of their own and gone rogue, the government clamped down on both the mutineers of the IRAO and the Army Council. The accusations of IRB dominance of the Army Council were in part confirmed in the resulting inquiry that was spearheaded by Minister Kevin O’Higgins.Through the inquiry, the exact role of the IRB became a matter of heated debate. As Quartermaster-General of the Army Council, Sean O’Muirthile was to bear the brunt of the inquiry committee’s questioning. A long-time Brother, he had been the chair of the IRB conference in Limerick that Ernie O’Malley had intruded upon in November-December 1921. His defence for his part in reorganising the IRB within the army was thatit had been done to stop the Anti-Treatyites from taking up the IRB mantle for themselves. As prominent Anti-Treatyites Liam Lynch and Harry Boland had both been members of the IRB Supreme Council, this was not an unrealistic concern, and it shows that the IRB name still had enough potency to fear it. Lynch had gone as far as to propose – in November 1922, four months into the Civil War – writing to the IRB Supreme Council in the hope of reconvening an adjourned meeting from the previous April. There had been an anti-Treaty majority then, and Lynch had hoped to use that to re-establish the Brotherhood in his own anti-Treaty image. From there Lynch would have had a new resource from which to draw upon. As this plan was never attempted, its odds of success are debatable. But both sides of the Treaty-sundered IRB gave it the credibility of consideration: the Antis in proposing it, the Pros in countering it. As with the IRAO, the Anti-Treatyites could appreciate the value of being in the IRB as opposed to out of it. Not knowing when to keep his mouth shut, O’Muirthile went on to suggest that the IRB should continue on to guide“the social and political atmosphere with the programme of any government working towards the National and economic advancement of the Irish people without regard to parties or party influence”.This was more than just a spirited defence on O’Muirthile’s part. Mulcahy had previously expressed the similar hope that the IRB would in time evolve into a more open society, and take the lead in implementing nationalist ideals for the rest of the country. In that regard, O’Muirthile’s and Mulcahy’s hopes for the IRB’s role in the new Ireland was not dissimilar from that of the IRAO for itself, who publicly exhorted that “there is the unity of Ireland and full independence still to be achieved,” with themselves best placed to achieve this, of course. The sense of unfulfilled aspirations from the War of Independence and the unresolved grievances that were the Treaty’s aftertaste gave groups like the IRAO and the IRB the chance to position themselves as the true heirs of a national mission – not unlike the language in The Proclamation of the Republic which had kick-started everything off, for that matter. Given the IRB’s starring role in The Proclamation, one has to grant the Brotherhood a certain consistency after eight years. In later years, Mulcahy was to find the IRB connection in the affair, and his own,a trifle embarrassing, preferring to characterise the Brotherhood less as a significant body at that stage and more, in vague and woolly terms, as a “pure Volunteer spirit that was just serving…in the traditional spirit”.One wonders, however, if the eventual result of either the IRB or IRAO continuing on would have been an Ireland in a situation akin to Turkey’s, with an ideology-led army prepared to intervene in politics to the point of ‘stepping in’ if it felt a civilian government needed amending. If O’Muirthile and Mulcahy honestly thought that the Free State would be happy for a Fenian throwback to be hovering over its shoulder like some praetorian guard, they were grossly mistaken. Likewise, the mutineers had badly misjudged the mood of the Free State government if they thought it would prefer their military faction over the other. A plague was wished on both their houses.The inquiry committee concluded that “the reorganisation of the IRB…was a disastrous error in judgement,” and much of the blame was levelled by O’Higgins at the Army Council, Mulcahy especially as its most senior officer.The Army Council –Mulcahy, O’Muirthile, Adjutant General Gearoid O’Sullivan and Chief of Staff Sean MacMahon – were forced to resign in a ‘house cleaning’ of IRB influence from the upper military echelons. As for the IRAO, had the mutineers been reinstated to their posts as they wished, then their faction may have continued on and even prospered in the absence of its rival. But they were not, and the fledgling IRAO died with their military careers. From then on, the IRB ceased to be a factor in Irish politics or society. While the IRB had weathered worse storms than its loss of four senior members from the army, it never recovered from this one. Nor was there much to mark its loss. Fittingly for a society that had lived in the shadows, it passed away unseen. Even the authoritative Ó Broin was uncertain as to “whether any formal decision was ever taken to wind ‘the Organisation’ up: the Supreme Council may have just stopped meeting”.An example of how deeply rooted the IRB had been, to be the point of being hard to tell where it began and ended, was how the government’s choice of replacement for Mulcahy, Eoin O’Duffy, had to resign as Treasurer for IRB funds in order to take up his new post as Commander-in-Chief. 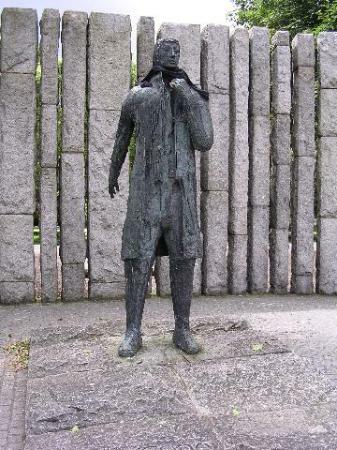 The Wolfe Tone Statue on Stephens Green in Dublin. The remaining IRB funds, which had been frozen in a bank account since 1922, were used to build this in 1964. Despite this glaring oversight on the government’s part, there is no suggestion that O’Duffy used this position to continue the IRB in any form. As late as 1964, these same funds lay in a bank in the names of trustees, the first being Sean O’Muirthile. Finally they were transferred towards the cost of the Wolfe Tone statue now on St Stephen’s Green, Dublin. Whatever the exact point the IRB could be pronounced dead, it was well and truly gone by that stage. The wheel had turned since the glory days of Brotherhood influence, such as when it had engineered at the Gaelic League ard-fheis of 1915 the election of one of their own as director of appointments despite Tom Clarke not knowing a word of Irish.Or keeping an impetuous James Connolly from acting too soon with his Irish Citizen Army in 1916, thus allowing for the IRB’s own plans to go ahead for Easter Monday. By 1924, the IRB had stepped on too many toes and made too many enemies, and few tears were shed at its loss. Fittingly, the man who more than anyone had delivered the coup de grâce to the IRB in the form of the Army Crisis investigation, Kevin O’Higgins, was a former Brother. There was to be little room for sentimentality in the new Ireland, and the sow had devoured its farrow. While in many ways a successful organisation, the IRB was not a popular one. Its strategy of armed revolution against British rule in Ireland was vindicated by the adoption of this same policy by other nationalist bodies such as the Irish Volunteers. Yet the IRB was to be distrusted by many if its fellow revolutionaries for its secrecy and insularity,or dismissed as an irrelevance. Despite this hostility, the IRB continued to thrive as it retained the enthusiasm of its members and recruited new ones throughout the War of Independence, even if its presence within IRA brigades led to tensions. Much has been said of its supposed role in pushing the Treaty through, but that is to misunderstand the structure of the IRB, which was too decentralised for its leadership to force anything on unwilling members. While diminished from the Treaty split, the IRB nonetheless seemed set to continue on in an influential role within the Free State army, with its leaders within the Army Council nurturing ambitions for the Organisation as ashepherd of national ideals. This was until a mutiny and the subsequent government investigation in 1924 brought this influence to light and derailed these ambitions. With its leading members forced to resign from the army, the IRB died an undignified death, fading away from a countryand state built on its efforts that saw no further use for it. Online Material Regan, John M. Michael Collins, General Commanding-in-Chief, as a Historiographical Problem. Accessed on 05/10/2013. 15 Responses to "To Not Fade Away: The Irish Republican Brotherhood Post-1916"
very interesting. Given that their was prior to the civil war an anti treaty majority on the supreme council then that should put o malley’s thesis to bed, it was one i’d have gone with but apparently not. was also under the impression that when Devoy came to Ireland the organisation was wound up, obviously not if there is doubt. Very interesting read well done. I’m not so sure I agree with Daniel about this (excellent article though it is). The executive of the IRB in 1922 was a three man group, Michael Collins, (pro-Treaty of course), Eoin O’Duffy, (pro-Treaty) and Sean O Muirthile (pro-Treaty). My understanding is that the anti-Treaty faction basically left the IRB in April 1922 in protest at its support of the Treaty. It’s always going to be conjecture but look at the IRA commanders of note who went pro-Treaty, in Dublin Paddy O’Daly (IRB), Liam Tobin (IRB), Joe MCGrath (IRB) in Clare Michael Brennan, (IRB), in Longford Sean MacEoin, (IRB), in Cavan Paul Galligan (IRB) etc. 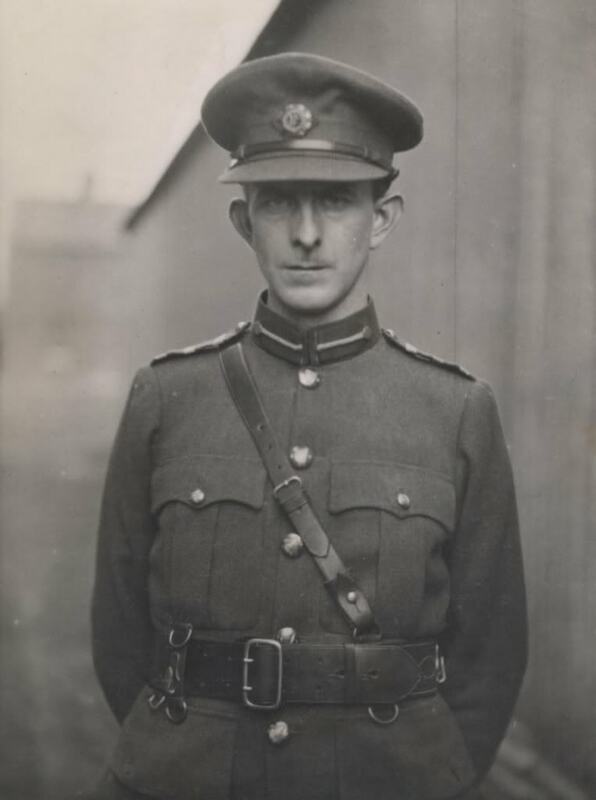 Of the prominent pre-truce pro-Treaty officers that just leaves (that I can think of at the moment) Roger McCorley (Belfast) and maybe a few others who were not IRB members. Though I couldn’t prove it there does seem to be a high correlation between IRB membership and pro-Treaty IRA sympathies. Though of course as Daniel points out there were also plenty of anti-Treaty IRB and former IRB members. John, to add to your list, Joe Sweeney, O/C of 1st Northern Division was also in the IRB and as a TD, voted in favour of the Treaty; however, his initial personal reaction to it was negative, it was’t until he’d consulted with the local SF branches in Donegal that he decided to vote for it in accordance with their wishes. Apart from McCorley, Ginger O’Connell was another senior pro-Treaty officer who was non-IRB. There’s a reference in his papers in NLI to a meeting of pro-Treaty officers held in the Gresham on 12th March 1922 which issued a statement opposing any negotiations with “mutineers”, so it would appear that he wasn’t the only senior pro-Treaty officer with a dim view of the IRB. On the anti-Treaty side, Charlie Daly, O/C of 2nd Northern at the time the Treaty was signed, was on the IRB Supreme Council, as was Harry Boland. Florrie O’Donoghue’s recollections in “No Other Law” indicate that while the majority of the Supreme Council were pro-Treaty, the majority of the County Circles were opposed. I doubt McKenna was genuinely confused as to his name, more likely he didn’t wish to speak ill of the dead, as he was almost certainly referring to Joe McKelvey. McKelvey was also on the Supreme Council and on St Stephens Night 1921, he informed Collins and Griffith that he and the rest of the 3rd Northern leadership would ACCEPT the Treaty, despite the copperfastening of partition, but subject to a number of conditions to which Collins agreed. This is covered in more detail on p95-98 of “From Pogrom to Civil War”. One of the great mysteries is what caused McKelvey to change sides over the course of the next couple of months – by late April 1922, he and Charlie Daly were centrally involved for the anti-Treaty side in the talks between the opposing wings of the IRB aimed at finding a basis for maintaining unity. Fascinating article. My own impression of the Treaty divisions in the IRB was a majority Pro-Treaty leadership splitting from a majority Anti-Treaty membership. I think that accounts in large part for why the IRB was tarred as a Pro-Treaty fifth column. The dominance of the Supreme Council by the more visible members of the Free State regime (Collins, Mulcahy, etc.) and the control of the upper echelons of the organisation being left in their hands in the months running up to the Civil War made for a easy propaganda. It was also of course part of a wider conspiracy theory in Republican circles to explain away the “counter-revolution” and defeat of the Republic by the Free State: a cabal of coinciding interests amongst the British, the IRB, the Hibernians, the Catholic hierarchy, the remnants of southern Unionism, the old IPP, big business, the banks, etc. I seem to remember reading that the IRB network, Pro- and Anti-Treaty, remained a (strained) conduit for contacts and co-operation over the continuation of the War of Independence in the north-east of the country post-1921? Is there any evidence of a “rival” Supreme Council being set up by the Anti-Treaty IRB during the Civil War? Or were those opposed to the Free State simply absorbed into the general Republican movement or resigned from activism? Kieran: In regards to Seamus McKenna and the Supreme Council member who had advised him to accept the Treaty, McKenna gives his name as Pat Casey or McCormick, though it was almost certainly McCormick (Supreme Council member from 1915 to 1917, and IRB representative of the Scottish Division). He was, at the time, regarded by McKenna as “our Republican father”, whose “connection with the Brotherhood went back to the closing years of the previous century.” It should be noted that McCormick’s status as a ‘go-to-guy’ was based on his personal qualities and longevity, not on any level he had in a secret society, further arguing against the idea of IRB members being mere automans at the behest of a shadowy elite that a ‘the IRB were behind the Treaty’ theory would require. By the time McKenna composed his Statement, McCormick was “approaching 80 years of age, an uncompromising Republican” (page 46 online, page 2 of the Appendum to the Statement), his swinging pendelum of opinions not dissimilar from Joe McKelvey’s own, or that of many others, I suspect. It is strange that McKenna would purport to know him so well and yet not be sure about his exact name, but then, people forget thse sorts of things all the time (as anyone about to introduce someone at a party suddenly draws a blank can attest). For more about McCormick, he left a BMH Statement, which ends at 1917, so we don’t get his side of the story about the time of the Treaty. According to him in his Statement, he resigned from the Supreme Council in 1917 after Thomas Ashe’s death, but he did not say why. Séamas: As to whether the Anti-Treaty side tried setting up a rival Supreme Council, the closest example that we know of is Lynch’s proposal to ‘take back’ the Supreme Council through reconvening the previous meeting which, of course, he never got around to doing. Florence O’Donoghue, who Lynch was writing to with the idea and another veteran IRB organiser (one of the few surviving Anti-Treatyites who had something good to say about the IRB afterwards) thought the Supreme Council was by then a lost cause, and that instead the Circles should hold elections of their own and vote in new (presumably Anti-Treaty) Council members. Both men had the same idea of ‘reclaiming’ the IRB, the difference being Lynch wanted to change the Council from within (or use the Council to change the Council) while O’Donoghue thought only appealling to the grassroots would work by that stage. Neither thought to set up their own Council – perhaps they thought a new one wouldn’t have credibility, or perhaps (IMO) they were still thinking in old-school IRB terms and the idea of a counter council (unprecedented despite the quarrelsome history of the IRB/Fenian Brotherhood) would have been akin to heresy. Of course, had they tried either of their plans and been halfway successful, the IRB might have ended up with two competiting Councils anyway ,or they might have attempted one had they had the time – O’Donoghue thought the Anti-Treatyite IRB Circles should go it alone anyway if the Supreme Council continued to be Pro-Treaty, and that might have resulted in a new council being formed. Not that it would not have made a difference in the end, as the Free State steamrolled the opposition, and Free State-IRB men would not have suddenly defected simply because of a ‘change of orders’ from a new Supreme Council in whatever shape or form. It is somewhat poignant that Lynch, the man most associated, for better or for worse, with the doomed Anti-Treaty side did not lose his faith in the Brotherhood and what it could accomplish. I don’t know about the north-east specifically, but the general idea that the IRB could be used as a conduit between the sides even after the Civil War began was certainly there. The most notable is Tom Barry writing to O’Muirthile in 26 May 1923, three and a half weeks after the Anti-Treatyite ceasefire, appealing for the IRB to use its influence to prevent the current harrassment of anti-Treatyites, with the idea of IRB members from both sides of the split finally working together again to achieve an Irish republic. That Barry was recognising the Supreme Council as *the* IRB authority was seen as significant to O’Muirthile and Mulcahy, upon being shown the letter. In addition to this as proof that Lynch’s attempts at an Anti-Treatyite council had failed (showing their own concern that it might have succeeded), Mulcahy hoped that the IRB could now be used as a blanket for Anti-Treatyite to re-enter the fold and make their surrender more accomodating. Whether that would been a temporary convenience or a reunited IRB continuing on in strength in a post-Civil War Free State is another question. As another footnote to the possibility of the IRB surviving past the Civil War, the IRA executive under Frank Aiken – of a very different mindset to Lynch’s – decided enough was enough and, in January 1924, summoned 11 remaining IRB Circles that were within the IRA to Dublin and ordered them to disband. As only six actually attended (where they agreed to follow orders and disband), that still left the possibility of at least five IRB Circles within the IRA at large and active (John O’Beirne-Ranelagh’s The I.R.B. from the Treaty to 1924, pp.38-9, citing Florence O’Donoghue’s papers in the NLI). Had the IRB Supreme Council continued past 1924, it could conceivably have called upon in the future these five Circles, who had already chosen the Brotherhood over the IRA executive. It also shows how independently-minded the Circles could be, and again raises the question of to what extent any central authority, whether IRA executive or Supreme Council could control IRB members who weren’t already willing. Just a thought – there are a number of places in the text (particularly at the end) which refer to “the Army Council.” I believe – but am not certain – that this actually refers to the General Headquarters Staff of the army of the Free State. That is correct – my apologies if that was not clear.